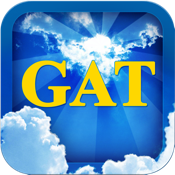 My Gamblers Anonymous Toolkit (GAT) is an exciting new recovery tool for members of GA. It’s like having Your Sponsor in Your Pocket! It has a Journal that makes it easy to find time to write in your journal. Just have access to an internet connection at home (computer) or on the go (mobile devices and tablets) and journal via typing. Just because you're in recovery doesn't mean life will slow down. Instead it will move forward, and so must you. Often times moving forward means being on the constant go. In effect, this means that if you’re using journaling as part of your recovery, then you don’t have time to sit down and write your feelings out. - View the amount of time you’ve been abstinent from Gambling each time the app is opened. - To protect anonymity, the actual app icon does not show references to Gamblers Anonymous. GAMBLERS ANONYMOUS DOES NOT ENDORSE NOR IS IT AFFILIATED WITH MY GA TOOLKIT (GAT). All net profits are donated to the Gamblers Anonymous World Service Office.